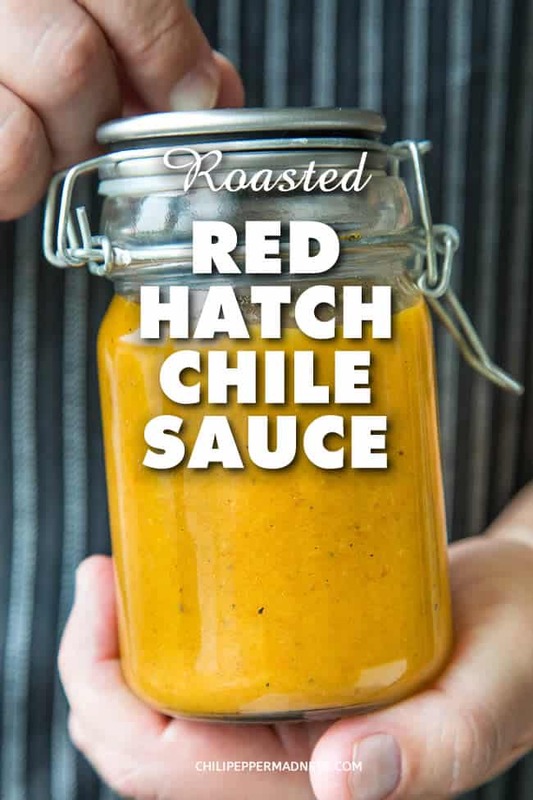 This roasted red Hatch chile sauce recipe is made with fresh, not dried, roasted Hatch chile peppers from New Mexico. It is thick and slightly creamy and ideal for many different meals. You can make it as spicy as you want it. I got myself some Hatch peppers in the mail today, my friends. If you’ve never tried Hatch peppers before, you owe it to yourself to get yourself a batch, no matter what you have to do to get them. Hatch peppers are unique in that they are grown in the Hatch region of New Mexico, where the locals claim the soil is rich and unlike anywhere else. Hatch peppers aren’t actually a single type of pepper, but a variety, so named because of the region where they are grown. The reality is that “Hatch Chili Peppers” actually belong to the broader category of New Mexican peppers, and there are many types. You can learn more about Hatch Chili Peppers here, including types and history. Hatch peppers typically range in heat levels from 1,000 – 8,000 Scoville Heat Units, which is quite mild to about jalapeno pepper level heat. I ordered mine online because I do not live near New Mexico, and the harvesting season runs from August through September. You can grow New Mexican types in your own garden, but my peppers are just now harvesting and I didn’t grow any this year. Luck you can order anything online! I got a mild variety – they are New Mexico 6-4 types to be more specific – and they are DELICIOUS. They were delivered already roasted, frozen. All I had to do was thaw them out and I’m ready to get cooking! 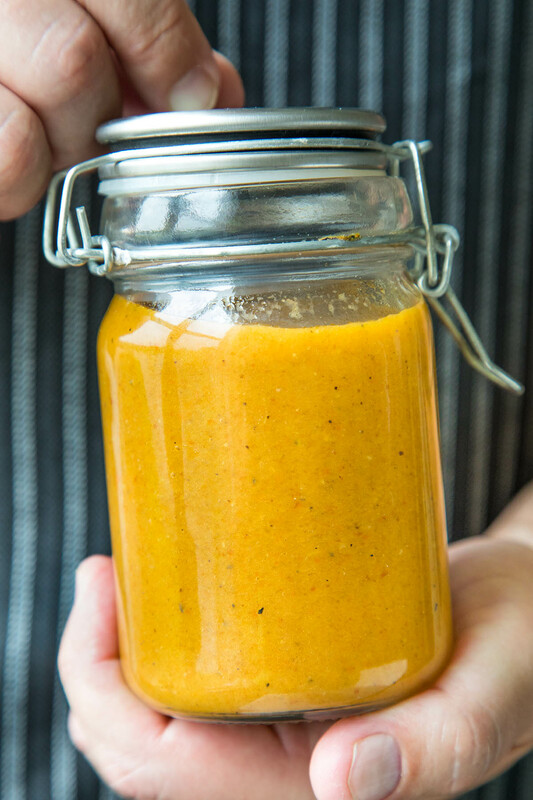 Let’s talk about how we make this fabulous chili sauce, shall we? 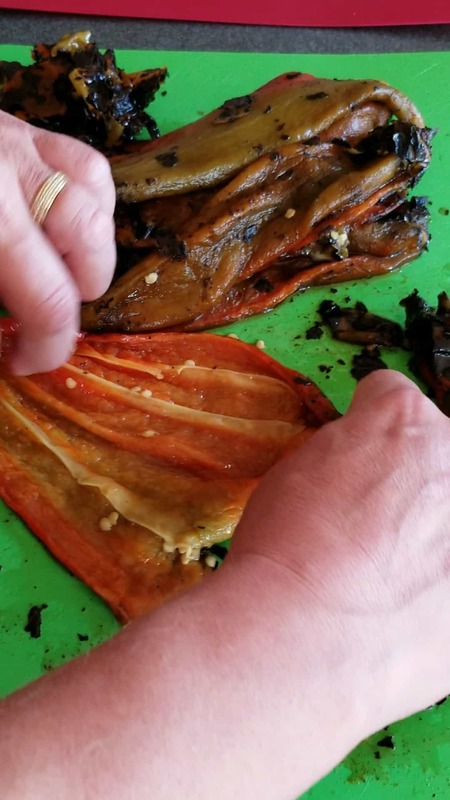 Remove the charred skins from your roasted red peppers. Remove the seeds and innards. Toss the peppers into a food processor, along with some onion, garlic, and seasonings. I used a bit of spicy chili flakes, cumin and salt. Keeping it simple here. Process the mixture until it smooths out, then drizzle in some olive oil and process it. The olive oil will emulsify and thicken up the sauce to an almost fluffy texture. Transfer the sauce to a pot and add in a bit of chicken broth to thin it out. Simmer it for about 10 minutes to let the flavors mingle. I used about a cup of broth, but you can use more or less, depending on your preference. Some people like a thinner sauce, where I enjoy a thicker one, depending on what I’m using it for. Adjust for salt and you’re good to go. 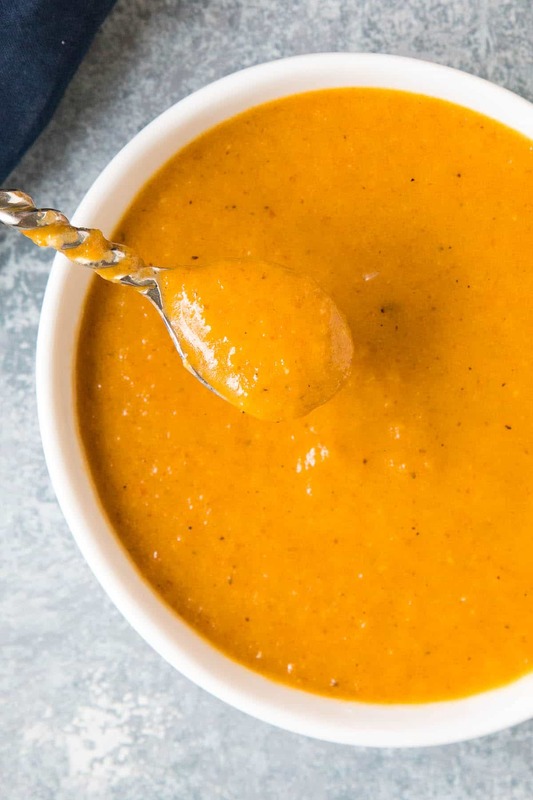 You can use other liquids to thin out your sauce. I used chicken broth, but beer would be interesting, as well as beef broth. Water works as well, or a soup base. You can strain the sauce once it is done if you’d like as well. It may be slightly chunky, depending on your food processor. Straining it will give you a much smoother sauce. 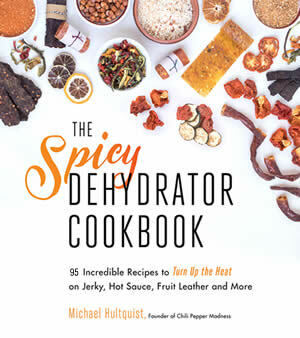 If you order or grow a milder variety of Hatch or New Mexico chile peppers, you can easily up the heat by incorporating a spicy chili powder or spicy chili flakes. I added some chili flakes to mine for a bit of zing. Or, either order or grow a hotter variety of New Mexican peppers, such as the Sandia pepper, which is about as hot as a jalapeno pepper. 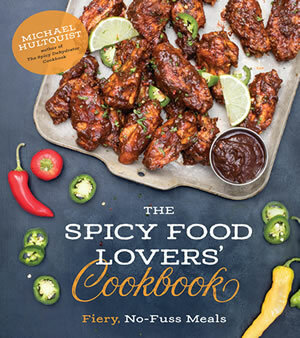 Can You Make This Recipe with Other Peppers? Absolutely. If you do not have access to Hatch or New Mexico peppers, you can make this with any larger, thicker walled pepper, such as the Anaheim, large Italian sweets (think Corno di Toro), and yes, even sweet bell peppers. Try poblano peppers for this recipe as well. They’re great. I use this chili sauce in a number of ways. Admittedly, it’s a very simple sauce, but oftentimes simple is perfect. Toss it with some noodles for a chili pepper take on pasta. Who needs tomato sauce? Spoon it over grilled chicken or pork. If you have pulled pork on hand, mix it with the finished pulled pork for a juicy, saucy mixture. It is GREAT like this for pulled pork sandwiches. It also works nicely as a base for making soup, which I believe I am going to do very soon! Where Can You Buy Hatch Chile Peppers? 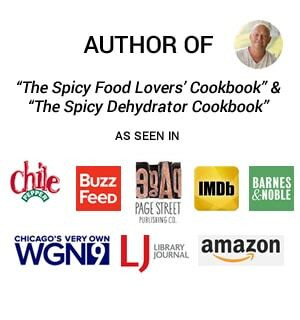 I have a list of online resources where you can buy Hatch Chile Peppers. This roasted red chili sauce recipe is made with fresh, not dried, roasted Hatch chile peppers from New Mexico. It is thick and slightly creamy and ideal for many different meals. You can make it as spicy as you want it. 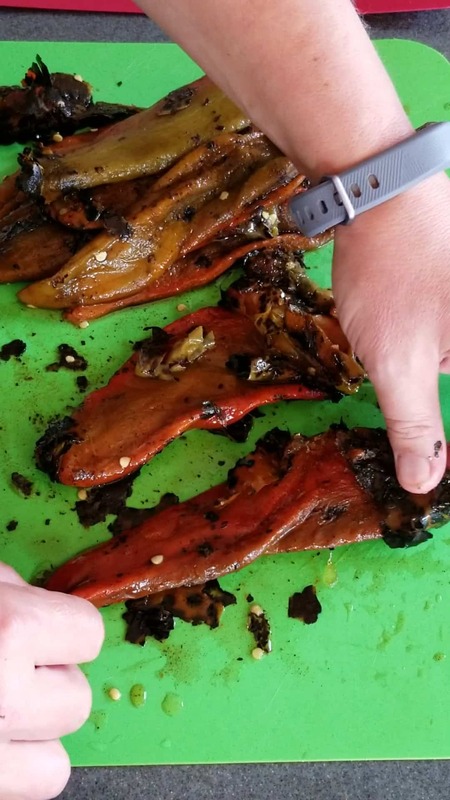 Remove the charred skins from your roasted red peppers. Toss the peppers into a food processor, along with some onion, garlic, and seasonings. I used a bit of spicy chili flakes, cumin and salt. Transfer the sauce to a pot and add in a bit of chicken broth to thin it out. Simmer it for about 10 minutes to let the flavors mingle. Strain, if desired, or serve it as is. Makes about 3 cups unstrained, about 2 cups strained. Do you have any hot sauce recipes for green Hatch peppers? Hatch peppers are in all my local grocers right now but there are very few red peppers. Thank you. 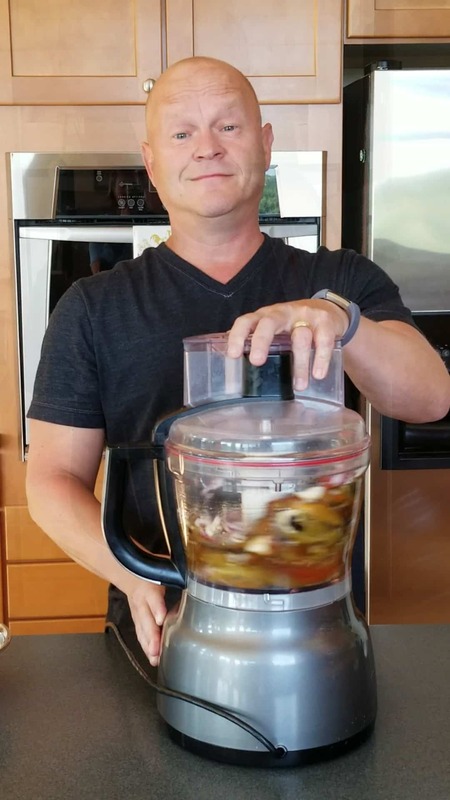 Hey, Brandon — There are many different recipes on my Hot Sauce Recipes page that you can use to incorporate Hatch peppers. Take look there and let me know if any of them jumps out. I’m happy to help you adapt any of them. I made this with thawed out roasted Green Chile that I got at a Hatch Festival. They roast them right there, fresh, in one of those big roasters. They freeze beautifully. It is terrific. Put it on a cheeseburger. You won’t be sorry. 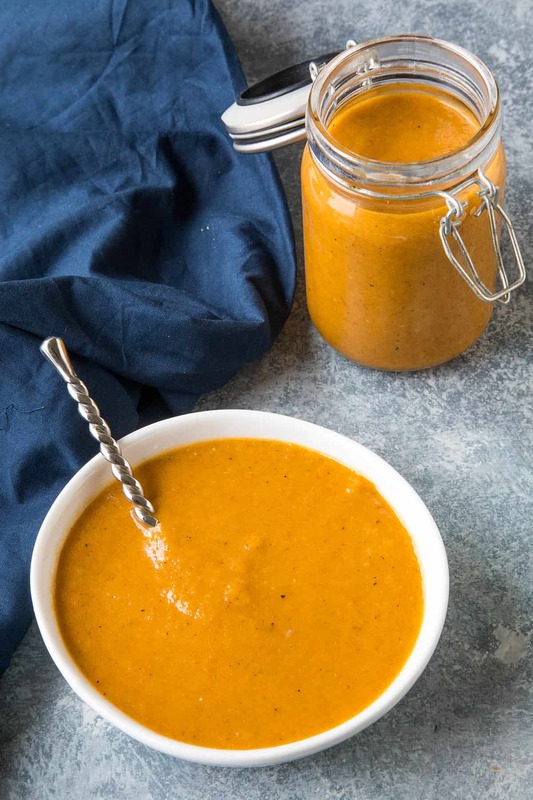 I love trying new versions of hot sauce and, of course, the cheapest and healthiest versions are ones I make at home. I can control both the heat and the quality of the ingredients. 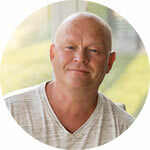 I live in a town in a rural area of southern Ontario, Canada, and can’t always get the ingredients I need. Amazon.com might not ship to Canada and they may not be available at Amazon.ca. Other times they pretend to be available but, where they might cost US$20 on Amazon.com. on Amazon.ca they will be CDN$400. I’m not lying! I do the best I can, though, being not only a chili-head but vegetarian. I pinned this recipe – just in case! That is quite the elephant-sized food processor you have there. I wonder if I could even pick it up? Hi, We just retired and relocated to Albuquerque. We are enjoying all the new foods and tried a new restaurant El Pinto last night. They use and make salsas and sauces with the hatch chilis and have all of their recipes on line (delicious)! I have made a few of them. Google them and enjoy. I will make your red sauce (mole) today. 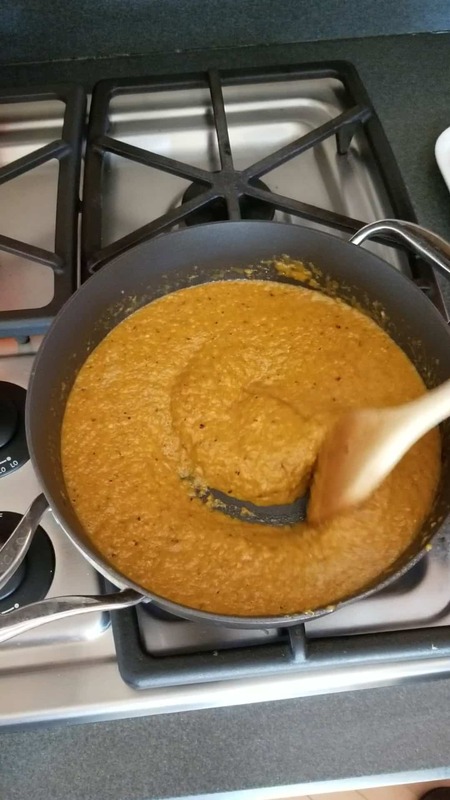 I make an old Aztec red sauce, very delicious too. Google is wonderful! Enjoy, Debbie. This is different from a sauce made with dried chilies, which is GREAT, but still quite delicious. I also made a soup with them recently (on the site soon). Such outstanding peppers. I hope you like it! Good luck in your new home!